I'm very pleased with the layering of this card. Amazing what you can do with card stock layered and also some ribbon. I used the Pinking Hearts Border Paper Punch to create the layer under the ribbon. It has tiny little hearts. This is the last of my Valentine samples for now. Starting tomorrow will start showcasing holiday cards. A bonus card today using the You Are Loved Stamp Set also. Click here to see the latest downloads. A reminder too that the Online Extravaganza ends today. There are items up to 60% off!!! Oh my gosh, I took advantage of these sales myself. Here's the complete list of all the discounted products for this promotion in pdf file format. Click HERE. Discounted digital downloads are only available on online order types. Let me know if you have any questions. There are some really great deals here. Don't miss out. The shadow effect behind the marker was done by combining a scallop circle (cutting off the bottom scallops) and a rectangle. I rounded the corners of the rectangle with scissors. Sentiment may be stamped inside. The hearts were randomly placed and then I added the mini pearls to each one. Really like the effect, don't you? I really like the You Are Loved Stamp Set. Very versatile and can be used for many occasions. It is in the Stampin' Up! Holiday Mini Catalog. The catalog is only valid until January 3. If you want this stamp set, I highly recommend ordering it soon so you don't miss out. I can see it used for anniversary, wedding, Valentine's Day, and so much more. Who wouldn't love a lollipop bouquet for a birthday or any special occasion. This was so fun and didn't even take an hour to make. It is for a very special little girl in our lives. Her birthday is December 9th, and she has no idea "yet" that I have made this for her. Here's a close up of the bouquet. The lollipops are packed in tightly. The finishing touch was a large bow using Stampin' Up! 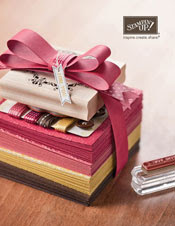 1 1/4" Striped Grosgrain Ribbon which is available in 11 different colors. This one is Daffodil Delight. Vase or Flower Pot about 5 1/2"
Marbles or rocks to weight the vase down. 1. Fill your vase or flower pot with marbles or rocks to weight it down. If this step is skipped, the bouquet could easily fall over when the pops are pulled out. Because I used a clear vase, I filled it with iridescent marbles almost to the top. 2. I put hot glue around the edge of the vase (you have to work quickly) and then immediately placed the Styrofoam ball on top. Because my vase had a ruffled edge to it, I then went back and filled in the openings with hot glue to really secure it to the vase. 3. Starting at the top, start placing pops in the Styrofoam. Keep pops close together for a fuller effect and to cover the Styrofoam. You can go back in and fill in if needed. Press pops in securely. 4. Tie a bow around the vase and the bouquet is ready to give as a gift or use as a centerpierce. The original idea for this came from Meet The Dubiens blog. Hope you all had a wonderful Thanksgiving. Ours was very nice. The next few days I want to showcase some Valentine cards I've made that were made this last week for Cards for Soldiers Overseas. The unit that we send to is stationed in Afghanistan. We make cards for them so that they have cards to send home to friends and family. I have a wonderful group of ladies that help each week with this project. I'm extremely grateful to all that they do to help. I am thankful for so many things. You have given me such joy by following my blog and letting me know how much the tutorials, photos, and information have helped you. I hope you each have a wonderful Thanksgiving tomorrow surrounded by family and friends. There will not be a blog post on Thursday (Thanksgiving), but I will return on Friday. New Digital Downloads are now available ... CLICK HERE to view. Remember too that the On-line Extravaganza is going on all this view. To read more about it, click here. What a great opportunity to receive 20% to 60% off many Stampin' Up! products. Stampin' Up! Online Extravaganza Starts NOW !!!! Sales runs from today thru November 30th. Then if you go to my on-line store, you will see a large number of Stampin' Up! products for 20% to 60% off !!!! just click on Shop Now then Online Extravaganza to see all the products. There are even exclusive bundles and digital downloads at 25% to 40% off. Don't miss out on this great sale that runs from today thru November 30th. Place your order on-line and I will e-mail you as soon as it ships. Important NOTE: Visit my official Stampin' Up! website to place your orders. Here's the complete list of all the discounted products for this promotion in pdf file format. Click HERE. The holiday season is just around the corner and it’s time again to start thinking about being part of the 2011 American Red Cross Holiday Mail for Heroes. For a fifth year, American Red Cross and Pitney Bowes are partnering to ensure all Americans have an opportunity to send a touch of home this holiday season to members of our U.S. military, veterans and their families, many of whom will be far away from home this holiday season. Starting this fall and throughout the holiday season, the Red Cross is working with Pitney Bowes, a mail stream technology company, to collect and distribute holiday cards to American service members, veterans and their families in the United States and around the world. All cards being sent in for 2011 Holiday Mail For Heroes program should be postmarked no later than Friday, December 9, 2011. We encourage participants to mail as many cards as they are comfortable sending. If you are mailing a large quantity, please bundle the cards and place them in large mailing envelopes or use a flat rate box from the post office. Each card does not need its own envelope, as cards will be removed from all envelopes before distribution. Mary's Note: If each of us sent at least one card, think how many would be sent. Even one card can make a world of difference. Stop by my Online Store on Monday, November 21, to take advantage of great savings, like FREE digital downloads valued at $40 when you buy My Digital Studio Express, 60 percent off select Designer Fabrics, and 30 percent off an exclusive ribbon bundle! In addition, there will be two items on sale for 24 hours only (November 21, 12:01 AM - 11:59 PM [MT])-so make sure you don't miss the first 24 hours of Online Extravaganza! These special offers will not be extended past the deadline. More information will be posted on Monday. These specials need to be purchased thru my Online Store. Let me know if you have any questions. Would you believe I've been working on Valentine Cards this week???? It's true. My wonderful ladies that meet here every Tuesday and I are making Valentine Cards for the soldiers overseas. The unit we send to is in Afghanistan. We create cards for them so that they have cards to send home to their friends and families. 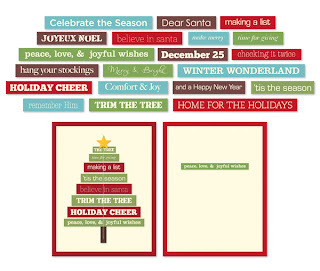 Last week we shipped two big boxes of cards (Christmas/Hanukkah/New Years and Misc occasions cards) to them. So it was time to start on our next holiday and misc cards too. We made a good dent in the cards this week. So next week I will showcase the Valentine cards I made that were done with current Stampin' Up! products. The Kraft Gift Boxes are not just for the holidays, you could use them for any occasion where you need a small gift box. 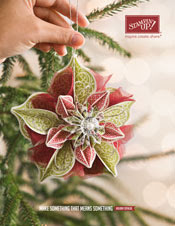 I created the ruffled flower myself using the 2 1/2" scallop circle punch from Stampin' Up!. You will find the video tutorial for the flower (smaller version - same technique tho) HERE. Was a busy weekend with classes ... wanted to share with you some of the gift boxes and spring cards that I made. So pleased with the results and think they will make great Christmas gifts (the box filled with sugar cookies or chocolates). Yesterday's blog post was the tutorial for decorating the Kraft Gift Box and the Spring card decorations were from Split Coast Stampers. Just a reminder that a square card like this right now requires 64 cents for postage (postage is going up in January 2012). 1. Assemble your Kraft Gift Box. 2. Adhere the 2 ½ x 10 ½ piece of DSP to the left side, front, and right side using SNAIL. Go slowly starting on the side of the box and work your way around. 3. Adhere the 2 ½ x 3 ½ piece to the back side of the box. 4. Adhere the 3 ½ x 3 ½ piece to the top of the box. 5. Wrap ribbon around the box and tie – I used a knot style on mine. Ribbon should stay in place, but you could use a glue dot if you would like. 6. Using Multipurpose Liquid Glue attach the wreath to the top of the box, then with glue dots attach the mini jingle bells. Saturday's classes went extremely well. We worked on decorating kraft boxes (yes, Stampin' Up! sells them) and then making matching spring cards. The directions for the spring card can be found on Split Coast Stampers and I will have a tutorial posted tomorrow of how to decorate the kraft box. The kraft boxes are perfect for a small gift or for our "sweet press cookie stamps". They should hold 3 or 4 good sized cookies. To read more about the Sweet Pressed Cookie Stamps, CLICK HERE. I really think these will make GREAT holiday gifts or stocking stuffers. This is the 4th and final card in this week's series of Christmas Cards. Hope you enjoyed viewing the cards. You can use these type of designs as a card map and from there make a card for any occasion. 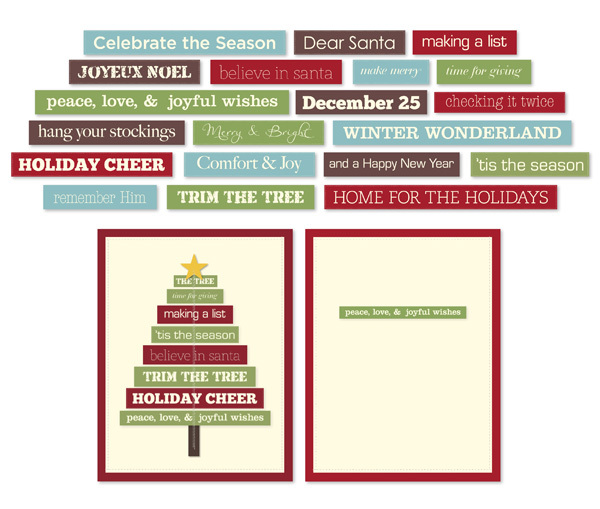 The holiday cards I made could have their look changed by switching out colors and designs. The sky is the limit. This is card #3 in my series of 4 designs this week. Altho I am planning to use this card for Christmas, it could be used for any occasion. Change it out, using your choice of colors. This is the 2nd card in my series of 4 this week using the Stocking Accents die for the Big Shot. I accented the ornaments using Dazzling Diamonds too. The look of the card can be changed just by switching out the center designs and/or by changing the orientation of the card from landscape to portrait. Wouldn't highlights of our pearls look great on this card too. The latest My Digital Studio downloads are now available. Click HERE to view. This week I am going to share with you 4 samples of cards I made using two Big Shot dies, Whisper White card stock, Brushed Silver card stock, Cherry Cobbler card stock, and Dazzling Details glitter glue. This is the first card I made. I accented the candy cane using Dazzling Details. When you use Dazzling Details, be sure to set the card aside to allow the glitter glue to completely dry. The candy cane has serrated markings on it, so it was easy to determine where the lines of Dazzling Details should go. And guess what? We set a goal to have 5,000 new friends visit our site and receive the free downloads, and we exceeded that goal! Woo hoo! We’re psyched, and we wanted to share our excitement with you—in the form of one more free download! It's towards the bottom of the screen. This download is only available for FREE until November 20th. I really like the "I Dig You" stamp set. I had paper cuts done from my class two weeks ago so thought I would make another one. This time I used Cherry Cobbler for the ink color. It matched up quite well. The 2nd card is the one we did in class, and there is a tutorial here for it. Welcome to Stampin’ Up!’s four-day Digital Scrapbooking celebration. We are kicking it off by offering free downloads to EVERYONE! (Click HERE for details.) Be sure to read down to the bottom of the link. Then click on the "complete this brief survery" to receive your free downloads. If Stampin' Up! gets 5,000 new friends to download then they will everyone a 5th free download!!!! If you would like to see photos of the downloads, Stampin' Up! has posted a pdf file HERE. These downloads can be used with most design software programs. Earlier today I posted a link in my blog update that was supposed to take you to my microwave popcorn cover tutorial instead took you to AZ Wine Company. I received a comment plus an e-mail letting me know about the mistake and have now corrected it. This was a mistake on my part. A friend had asked for the link to the wine company at the same time I was updating my blog. So if you would like to see the tutorial for the microwave popcorn covers, CLICK HERE. I've been making more of the Microwave Popcorn Cover & Christmas Stocking Cards that were showcased on my blog on October 25th. Click here for the tutorial. I'm trying to get a few gift items made now, and the days seem to be flying by. I also made one with a white stocking liner rather than the scallop circles. Like both styles. I absolutely LOVE my Big Shot Die Cut Machine from Stampin' Up!. There are so many dies, embossing folders, and more to choose from. I just purchased the Petite Pocket Bigz XL die. This is the first card that I made with it the other day. The little pocket is just wide enough for a gift card or you could put a special message inside. Be sure to use sticky strip to hold the pocket together. The pocket will be opened and closed many times I'm sure, so the sticky strip is much more durable/stronger than regular adhesive. Because the card is a darker color (Cherry Cobbler) I did adhere a piece of Very Vanilla card stock inside the card for a hand written message. Stampin' Up! Card Stock and Classic Ink of your choice. The latest My Digital Studio downloads can be viewed HERE. Details: Celebrate Digital Scrapbooking Day with Stampin' Up! for a four-day online event designed to introduce more of our demonstrators and customers to our digital content. Digital Scrapbooking Day is November 5, but we'll keep the celebration going from November 4-7! The event will include free downloads, blog posts with exciting project ideas all weekend long, and the announcement of the 2011 My Digital Studio Contest winners. 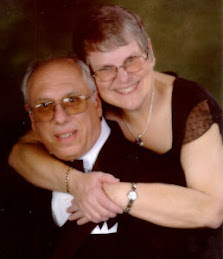 Customers can access the free downloads from MyDigitalStudio.net November 4-7, after completing a quick survey. Mark your calendars ... there are some really nice downloads being offered for FREE. After the event, they will become part of our regular to purchase downloads.